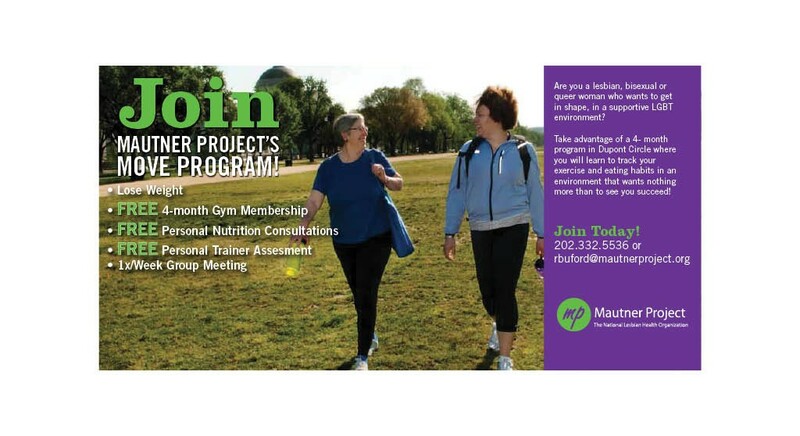 The Mautner Project is committed to improving the health of women who partner with women — including lesbian, bisexual and transgender individuals — through primary medical care, support services, education and advocacy. 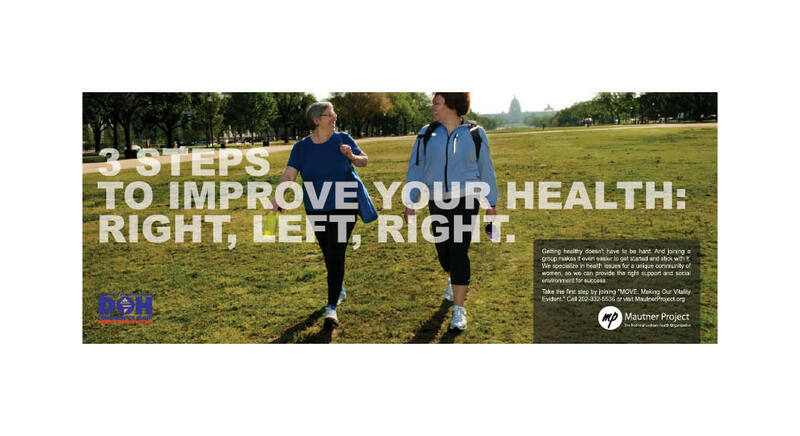 Delucchi Plus worked with Mautner in three capacities: providing event collateral and promotion around their annual gala for three consecutive years, handling public relations around their acquisition by Whitman-Walker Health, and providing strategy and execution for their public health campaign, MOVE. MOVE, or Making Our Vitality Evident, was an educational program funded through a grant from the District of Columbia Department of Health aimed at curbing obesity among lesbian and bisexual women. 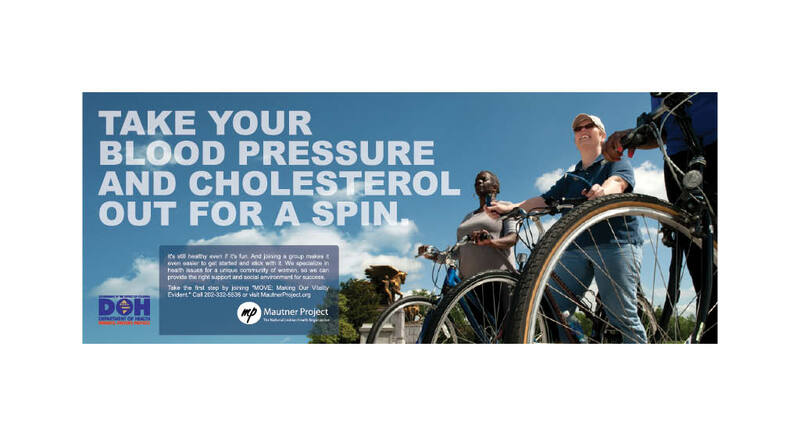 Our engagement included messaging to counter existing community norms accepting of obesity; the creation of intervention groups to attract participation from a highly targeted community; as well as transit, print, social media and general public outreach campaigns. Through our campaign efforts we were able to populate 98% of the groups with more than 200 study participants. Collectively, these women lost more than 300 pounds in addition to obtaining education on the importance of being fit.